Bollywood is known for its pomp and show and the extravaganza life its stars lead. While they are well known for their collection of big SUVs and sports cars, many Bollywood stars are also in possession of high-end bikes that make mortals as we drool. There is a good mix of variety and choice among the bikes owned by stars, ranging from high-end cruisers to fully faired sportbikes. Let’s now take a look at 10 Bollywood stars and their choice of ride. 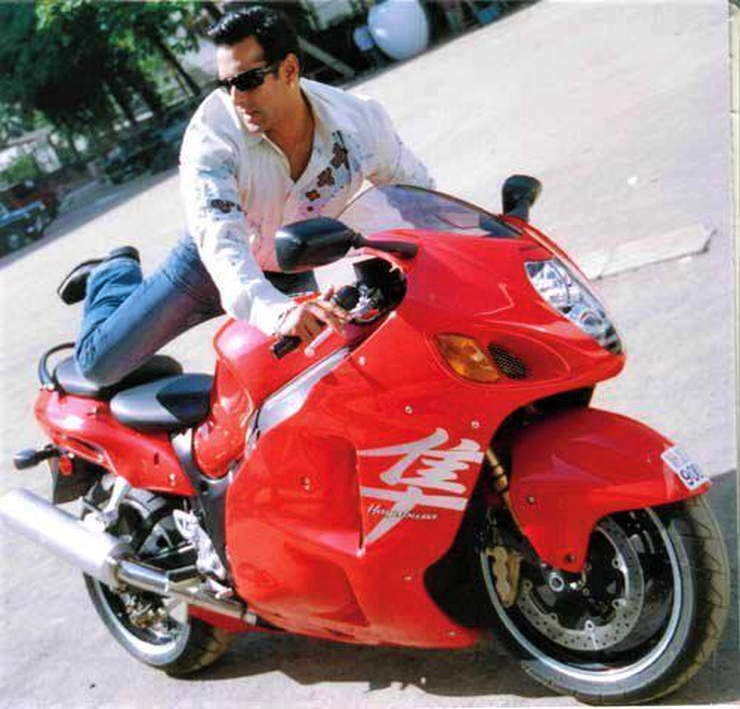 Apart from being the brand ambassador for Suzuki Motorcycles India since long, Salman Khan is also a proud owner of the Hayabusa. The actor was recently in news for gifting a Range Rover to his mother. The actor owns a red coloured Busa, which makes the already sporty bike look more sporty. He has owned the Hayabusa since more than a decade now and had been spotted multiple times with the bike. Talking about the Hayabusa, it held on to the title of being the fastest motorcycle in the world for a lot of years. However, Suzuki recently announced that the current generation Hayabusa’s production run has reached its end and that the bike has been discontinued. Reports suggest they are working on a new, wilder version though. 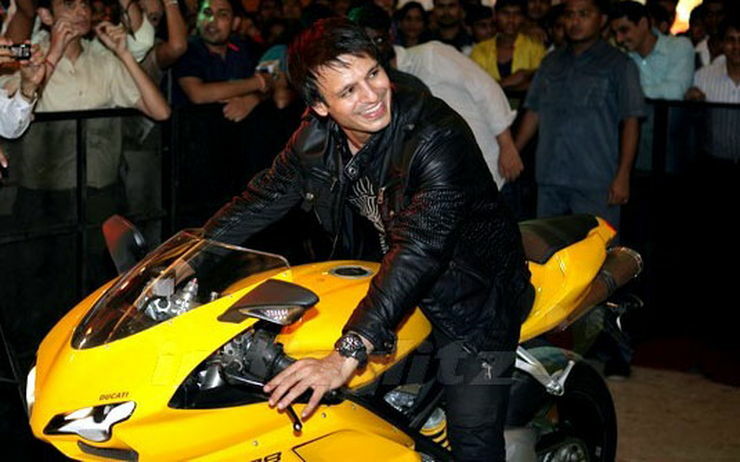 Vivek Oberoi owns the powerful Ducati 1098, done in a shade of yellow. The Ducati 1098 was among the top litre-class superbikes of its time and was also the flagship sportbike of Ducati before the Panigale series arrived. The Italian steed is powered by a and is powered by a Desmodromic motor that puts out 160 hp of power along with 122 Nm of torque. The motorcycle can hit 100 kph from standstill in just about 3.2 seconds and go on to hit a top speed of 279 kph. A true menace it is. 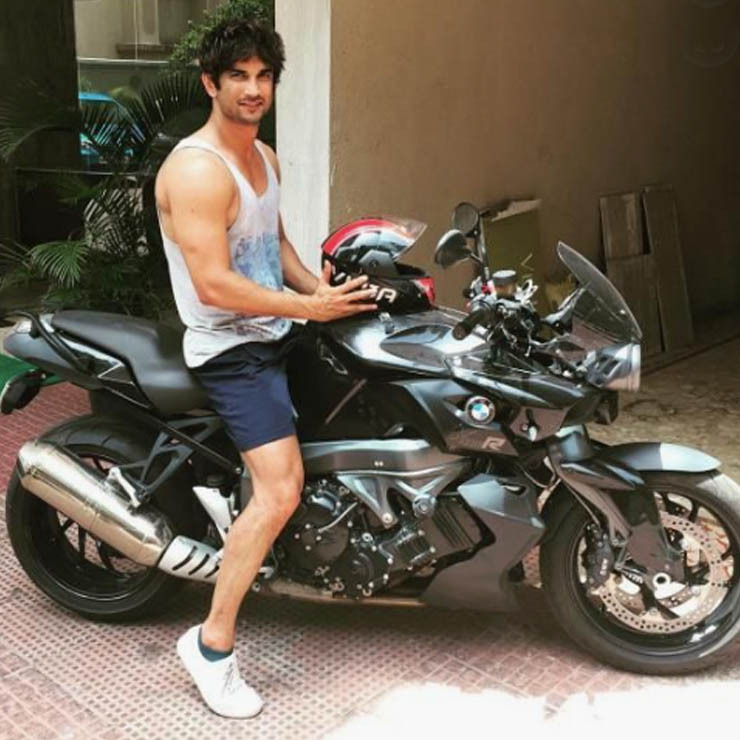 Sushant Singh Rajput probably owns the most diverse set of two-wheeler in this list. The Actor owns a BMW K1300R, which is a quirky designed but very capable naked motorcycle. The actor is known for his good taste in vehicles and bought a brand-new Maserati Quattroporte some time back. Talking about the bike, the BMW K1300R is powered by a 1.3-litre engine that pumps out 170 Bhp of power and 140 Nm of torque. The German bike has a top speed of 266 km/h and can sprint to 100 kph from a standstill in just about 2.8 seconds. Such is the popularity of the Suzuki Hayabusa that it is among the most common superbikes in India despite its high price tag. Appearing for a second time on this list, this one is owned by Tushar Kapoor. Tushar loves his Busa and has been seen riding it on many occasions. Tushar even owns a Harley Davidson V-Rod but it’s actually the Hayabusa that enjoys a more popular brand image in our country. 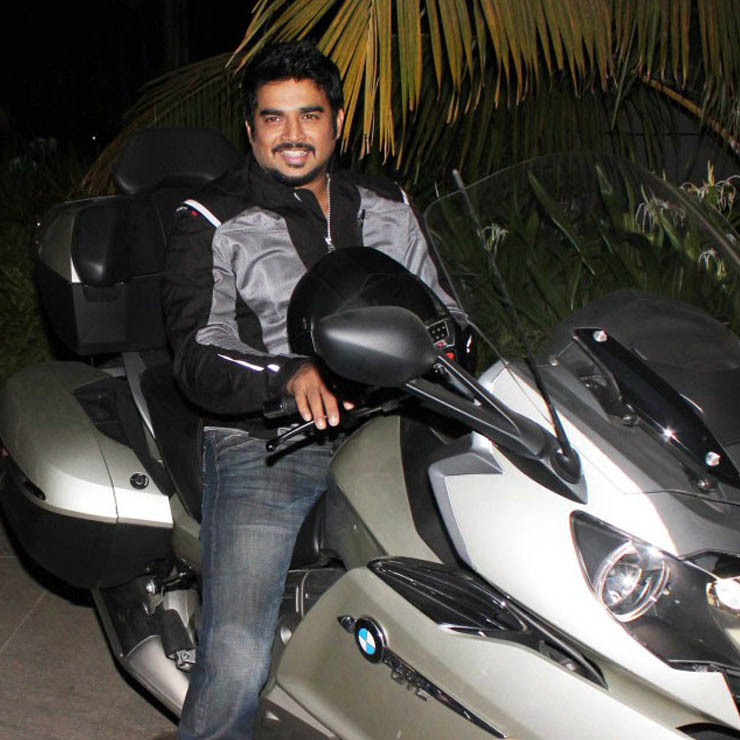 Actor R Madhavan’s love for bikes is well known. Among the various Italian and Japanese bikes in Bollywood, he owns a German BMW K1600 GTL. An astounding fact about this bike is that it gets a six-cylinder engine. It is a 1649-cc unit which churns out 158 Bhp of power along with a peak torque of 175 Nm. The BMW K1600GTL is one of the best long-distance tourers money can buy in India. The bike has a top speed of more than 200 kph and can easily cruise at high speeds all day long. It also offers a very comfortable saddle and plenty of storage spaces. 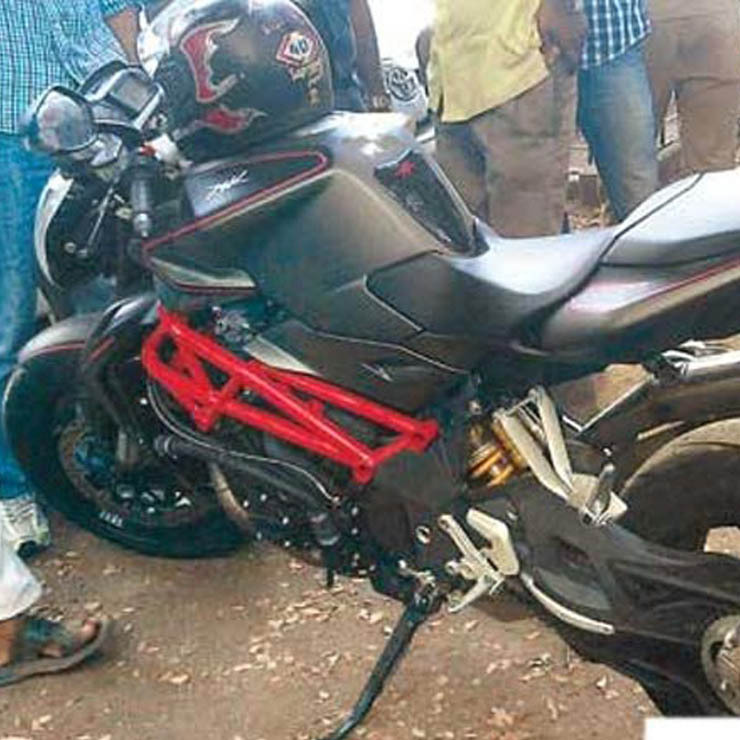 Saif Ali Khan is a proud owner of an MV Agusta Brutale, which is a very macho looking naked sportbike. He bought the Brutale just weeks before his marriage to Kareena Kapoor. The bike is powered by a 798-cc engine that churns out 109 Bhp of power along with 83 Nm of torque. 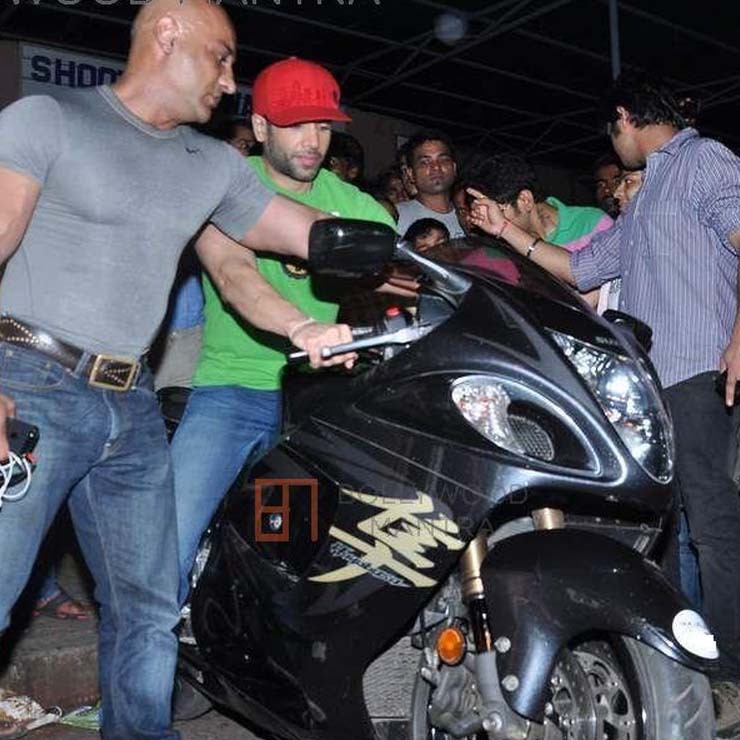 This motorcycle was priced at Rs 15.59 lakh (ex-showroom) at the time when it was bought by Saif. The Brutale is known to be one of the best premium streetnaked motorcycles in the middleweight segment. It offers a top speed of more than 200 kph and can hit 100 kph from standstill in just about 3.9 seconds. 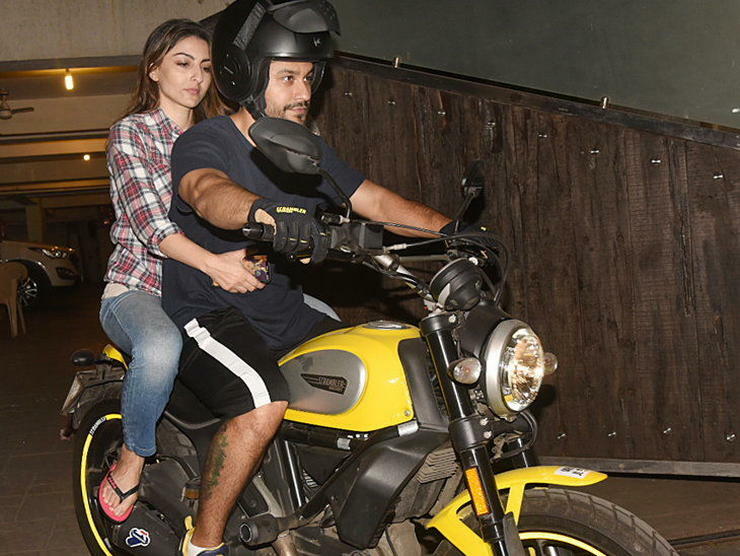 Kunal Khemu recently bought a Ducati Scrambler. In India, the Scrambler range starts at roughly Rs 5.75 lakh and goes all the way till Rs 9.32 lakh. Kunal’s Scrambler belongs to the entry-level range. It is powered by an 803-cc motor that outputs 74 bhp and 68 Nm. The motor comes mated to a six-speed transmission. This motorcycle has a top speed of 193 kph. The motorcycle can sprint to 100 kph in just 4.49 seconds. The Scrambler has been rather quick in garnering a huge fan following, which is mainly due to its stylish bodywork, well-sorted dynamics, and decent performance. 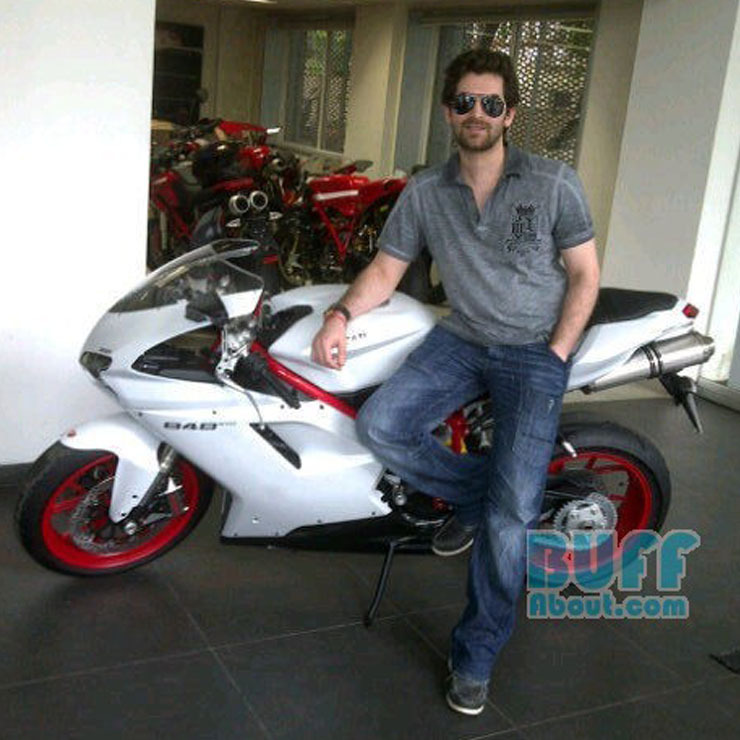 Neil Nitin Mukesh is another B-Town actor who has a liking for Ducati. Other than owning a Mercedes, he also owns a Ducati 848. The 848 is a fully-faired Italian sportbike was one of the best in its segment at its time. The bike is powered by an 849.4 cc engine which churns out a handsome 140 Bhp of power along with a peak torque of 98 Nm. This beautiful motorcycle costs more than Rs 15.18 lakh (ex-showroom). It has a top speed of more than 275 kph and can hit a speed of 100 kph from stationary in a scant 3.7 seconds. Seems like Suzuki has a special place in Bollywood’s heart. Another actor to own a Suzuki bike is Uday Chopra, who owns a Bandit 1250S. The actor was also seen riding the Bandit in the movie Dhoom. The actor has been spotted riding the bike a couple of times. Talking about the Bandit, it was a well-known sports-tourer motorcycle during its time. It gets powered by a 1255-cc engine that that churns out 98.4 Bhp of power along with a peak torque of 94 Nm. The USP of the bike is that it is a relaxed mile-muncher that offers adequate performance for long-distance touring. The motorcycle is no longer of sale but used to cost Rs 10.75 lakh (ex-showroom) back in the day. It has a top speed of 240 kph. 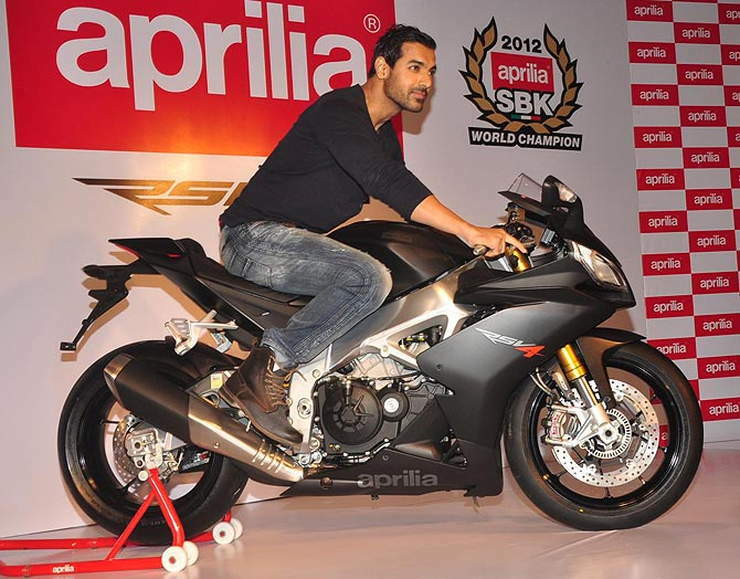 Among the various stars here, John Abraham is probably the most well known automotive enthusiasts. He owns a number of bikes like the Suzuki Hayabusa and the Yamaha V-Max but today we will talk about the Aprilia RSV4. This superbike was gifted to him by Piaggio India. The bike is powered by a V4 1,000-cc engine that churns out a good 180 Bhp of power along with 115 Nm of torque. The Aprilia RSV4 is easily among the most revered modern litre-class bikes. It has a top speed of 250 km/h and can sprint from zero to 100 km/h in less than 3.5 seconds.